Faculty staff are able to access their Faculty desktop through Remote Desktop. This is preinstalled on all Windows XP through to Windows 10 (Pro or Education only). and pick the correct link on the left for your operating system. 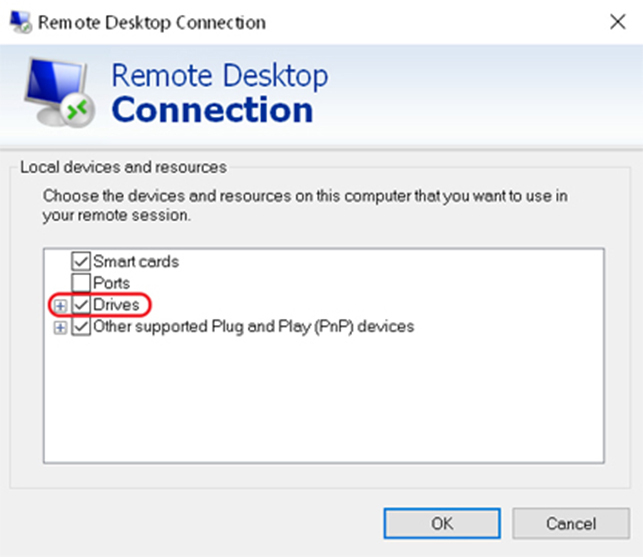 Please note: Remote Desktop Connection will NOT work over the UniofCam wireless service. 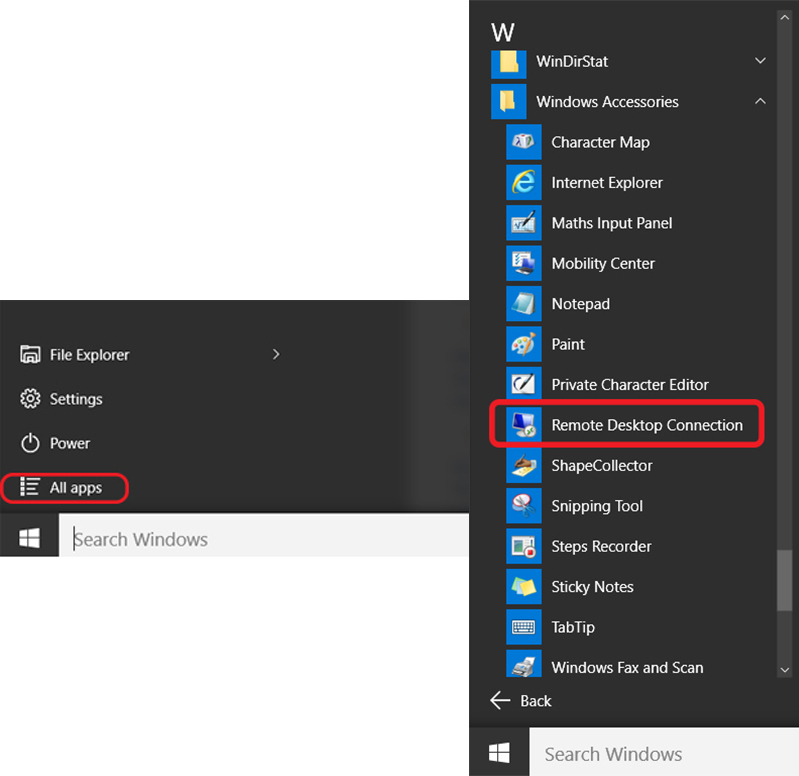 To run Remote Desktop on Windows 10, click Start, All Apps, Windows, Remote Desktop Connection. Click the Options dropdown arrow, which expands the window with more settings. Click on the Local Resources Tab and then click on More. The Local Devices and Resources screen will then appear. On this screen, make sure the Drives box is ticked then click OK. This allows your drive on the PC you are currently on to be accessible whilst remoting into your Faculty machine. 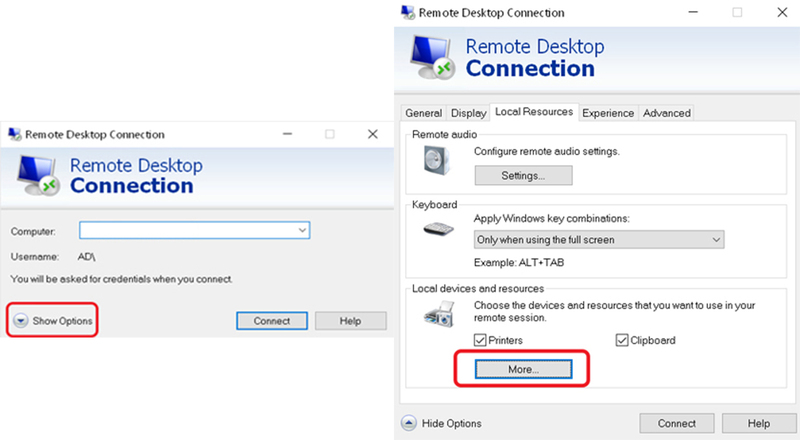 Once you are back at the original Remote Desktop Connection screen, click Connect. You will then be asked to enter your CRSID and password. Enter your username in the form AD\abc12 (where abc12 is your normal Cambridge user id). These credentials will be the same you usually use to log in to your Faculty machine. 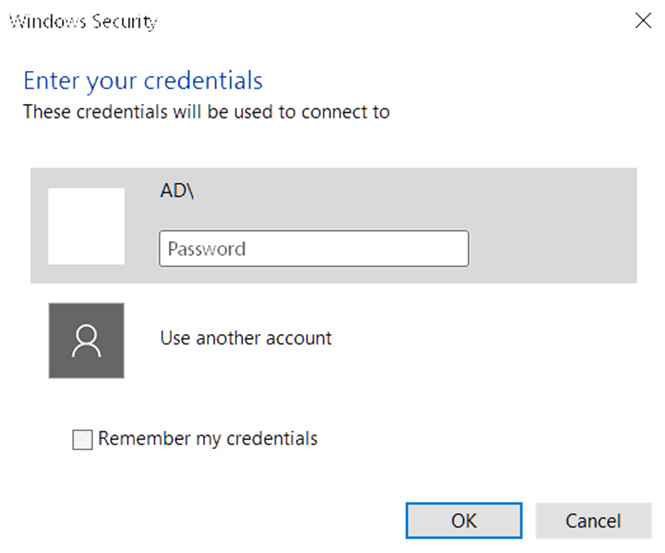 Before you click OK, make sure the 'Remember my credentials' button is ticked. Click OK, you will now be faced with your Faculty desktop.